While police are still searching for the suspect of an attempted abduction that occurred on Friday, cit­izens are gearing up to take ini­tiative in pro­moting self-defense. Mayor Adam Stockford expressed in a Facebook post that a basic self-defense class in the city would be ben­e­ficial. 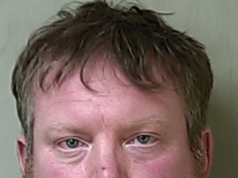 On Feb. 1 around 4 p.m., a 24-year-old female was walking home from Davis’s Economy Station and Dollar General in Jef­ferson Township, “when a truck stopped and a white male subject got out, grabbed her, and attempted to pull her into his vehicle,” according to a news statement from the sheriff’s office. “She states that the male struck her in the face, telling her, ‘It will be easy and to get into the truck,’” the statement said. The woman fought the attacker and was able to retreat to her home. 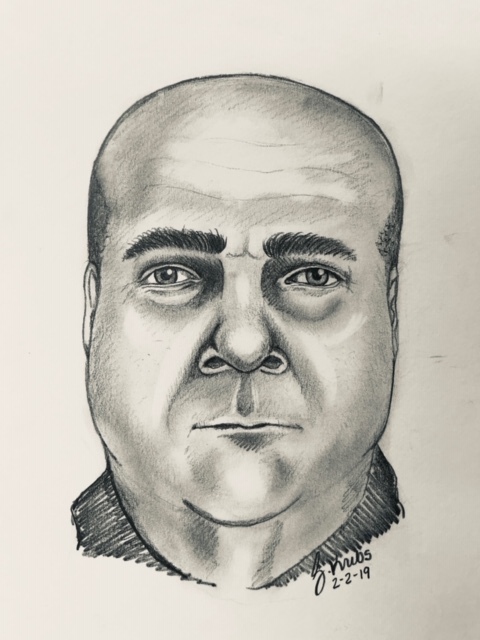 An image depicting the woman’s description of the suspect was pro­duced by the Michigan State Police Forensic Artist Division. At press time, the suspect was not found. The forensic artist’s ren­dering of the suspect has been shared on social media. 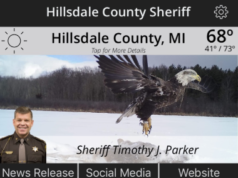 The Hillsdale County Sheriff’s Office’s Crime Scene Inves­ti­gation Unit seized the Dodge truck shown in a video released by the sheriff’s office and processed the reported suspect pickup truck. Parker said that all people should be aware of their sur­roundings and have a plan in such sit­u­a­tions. “Be pre­pared to fight back if you were to be abducted,” Parker said. Stockford said the self-defense class could involve learning how to leverage someone’s body weight, tem­porarily inca­pac­itate someone, or exercise the second amendment right to bear arms. A free, basic self-defense class for women and children will be held at 5 p.m. Feb. 27 at the Hillsdale Preparatory School Gym, 160 W. Mechanic St. The class will be hosted by trained, local indi­viduals who will teach basic striking, wall-assault escape tech­niques, ground-assault escape tech­niques.